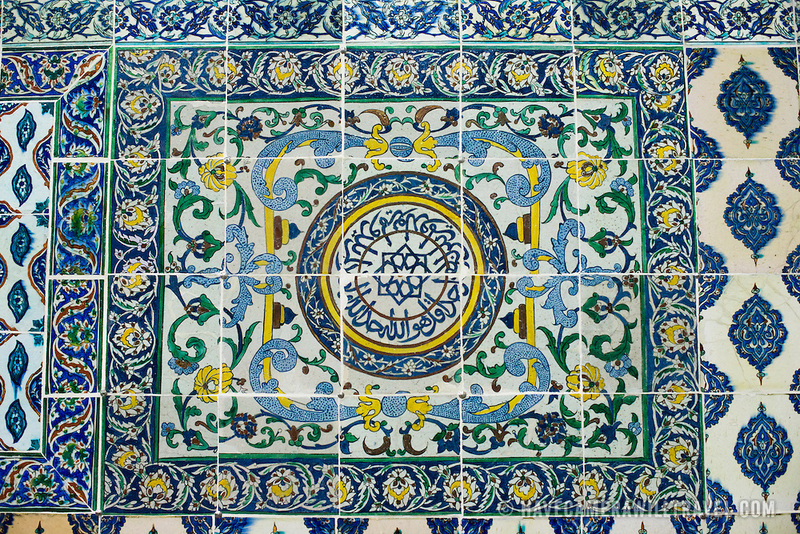 Ornate tiles decorating the walls of the Harem Mosque at Topkapi Palace. The Harem Mosque (Harem Mescidi) of Topkapi Palace was built in the 17th century as a prayer hall for the sultan's mother, daughters, and first consort, as well as senior women of the harem. The Imperial Harem was the inner sanctum of the Topkapi Palace where the Sultan and his family lived. Standing on a peninsular overlooking the Bosphorus Strait and Golden Horn, Topkapi Palace was the primary residence of the Ottoman sultans for approximately 400 years (1465–1856) of their 624-year reign.